Evidence of a widespread vitamin D deficiency has nutritional scientists suggesting we increase our vitamin D intake. 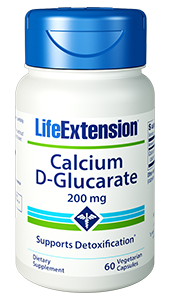 Life Extension Vitamin D3 helps support healthy bone density, cellular health, the immune system, and various age related issues. Available in 1000 IU, 5000 IU, and 7000 IU formulations. Earn up to 11 DR Reward Points. Some findings link a deficiency of vitamin D to a host of common age-related problems. 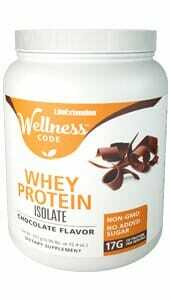 Available in 1000 IU, 5000 IU, and 7000 IU formulations. Vitamin D3 can be synthesized by humans in the skin upon exposure to ultraviolet-B (UVB) radiation from sunlight. But, due to the winter season, weather conditions, and sun screen usage, the body’s ability to produce optimal vitamin D levels may be inhibited.1 These factors point to the value of taking a daily vitamin D supplement. As a result of evidence of widespread vitamin D deficiency, prominent nutritional scientists are calling on Americans to increase their vitamin D intake to 1000 IU per day and higher. Life Extension recommends that healthy adults supplement each day with at least 2000 IU of vitamin D. Elderly adults may benefit from higher doses such as 5000 IU daily up to 10000 IU daily. The objective of taking a vitamin D supplement is to achieve an optimal 25-hydroxy vitamin D blood level of 50 ng/mL (and higher). 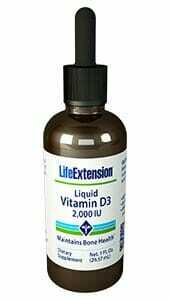 Why Choose Life Extension Vitamin D3 Over Others? Commercial companies offered only 400 IU vitamin D products when Life Extension long ago introduced its 1000 IU version. 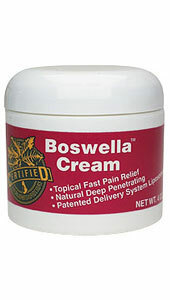 It has since added dosages as high as 5000 IU and 7000 IU. For most people, a 1000 IU potency is insufficient to attain optimal vitamin D blood levels, but others may require larger dosages in order to get the same effect. Life Extension has upgraded its vitamin D capsules to a small, easy to swallow softgel form that does not include allergen ingredients or vegetable stearate. Other Ingredients: safflower oil, gelatin, glycerin and purified water. Take one softgel daily with food, or as recommended by a healthcare practitioner. 1. Photochem Photobiol. 2007 Mar-Apr;83(2):459-63. 2. Rev Rhum Engl Ed. 1996 Feb;63(2):135-40. 3. Proc Nutr Soc. 2001 May;60(2):283-9. 4. J Bone Miner Res. 2003 Jul;18(7):1217-26. 5. Proc Natl Acad Sci USA. 2002 Oct 15;99(21):13487-91. 8. Anticancer Res. 2012 Jan;32(1):223-36. 10. Am J Prev Med. 2011 Jul;41(1):68-74. 12. Med Hypotheses. 2011 Dec;77(6):1145-7. 14. Mol Cancer. 2011 May 18;10:58. 16. Prevention and Treatment of Vitamin D Deficiency.